That’s what has happened in Carthage, Tenn., located 60 miles east of Nashville, where it was announced this week that Bobby Hamilton Jr. has bought Riverview Speedway. The quarter-mile paved track is called “Little Bristol” because of its bowl-like construction, cramped racing and high speeds. The track has 3,000 seats. It has sat idle since 2008. Fifty-three-year-old Fairgrounds Speedway, where Hamilton’s late father was a track champion, is scheduled to close later this fall. Hamilton also owns and operates Highland Rim Speedway, another paved quarter-mile track located in Ridgetop, 30 miles north of Nashville. Part of his business plan centers around drawing displaced Fairgrounds drivers and fans looking for a replacement race track. Hamilton is making some major Riverview renovations, including an improved pit road. Hamilton, who is assisted in his racing ventures by wife Stephanie, said there is a possibility that the facility could be put to some other uses in addition to racing. Hamilton said he intends to work closely with the community and welcomes any input. Hamilton has not entirely given up on his own racing career. 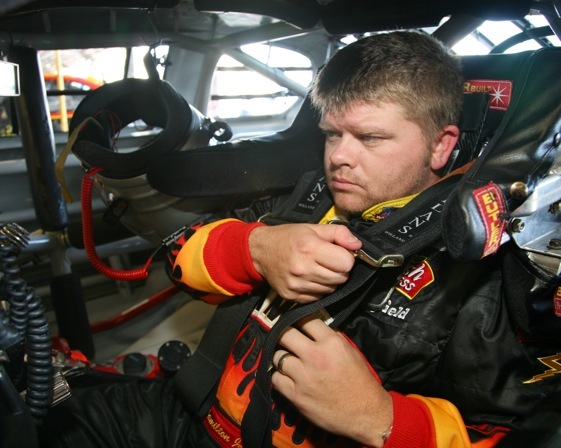 He has run a few NASCAR truck races this season and is keeping his driving options open. In addition to his two race tracks, Hamilton also owns a restaurant in Springfield and oversees Hamilton Racing. He said his goal is to expand into a truck-racing team and follow in the footsteps of his late father. Bobby Sr., won a NASCAR championship racing out of his Mt. Juliet, Tenn., headquarters.